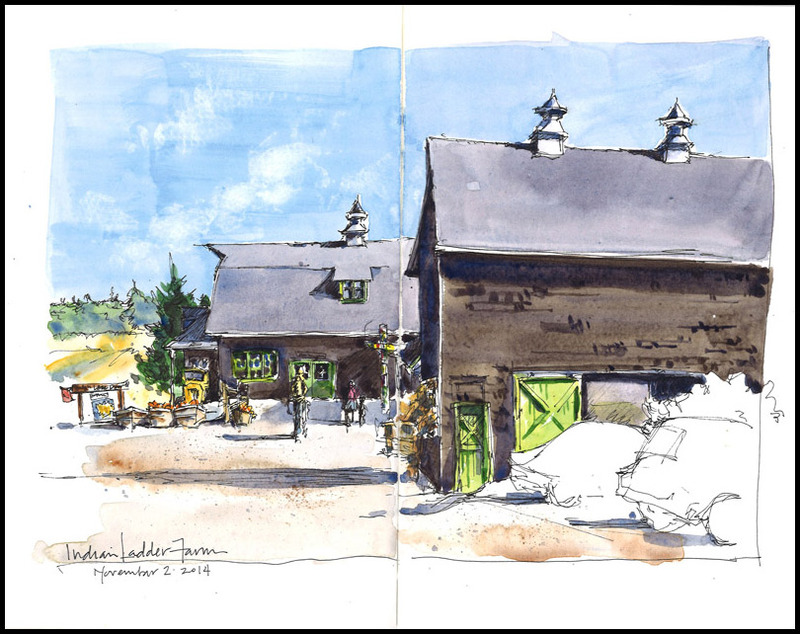 This entry was posted in Journal, Paintings, Watercolor and tagged apples, barns, farmers market, Flemish Giant Rabbit, food, Indian Ladder Farms, watercolor by Jean Mackay / Drawn In. Bookmark the permalink. Thank you so much. I am about to invest in Windsor and Newtons myself and was wondering if the Cotman series is something I should splurge on along with the artist’s set. Some blogs give the Cotman series really bad reviews but I have a feeling if I don’t buy them now, prices will jump again and then I will just be sorry. Also, if I may, what watercolors are you using? 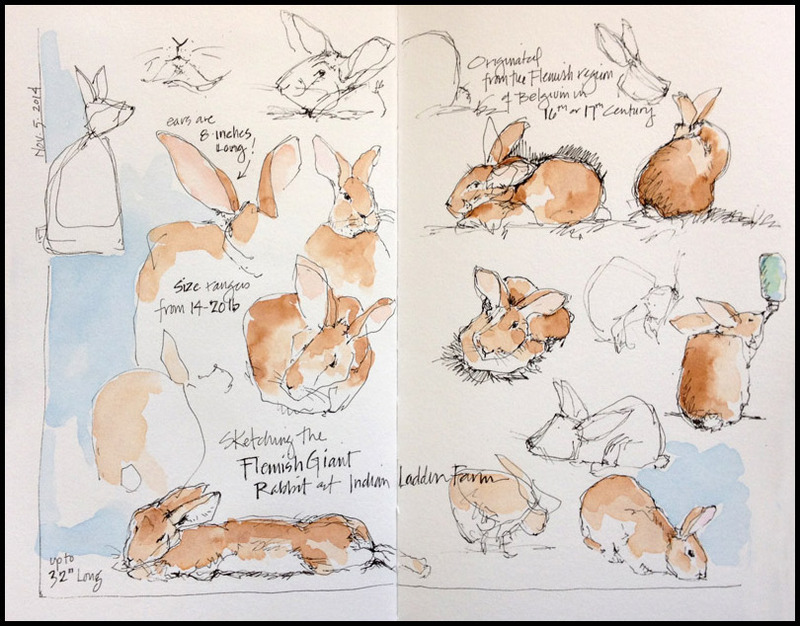 I started with the Cotman series years ago and have upgraded over time to Artist grade paints. 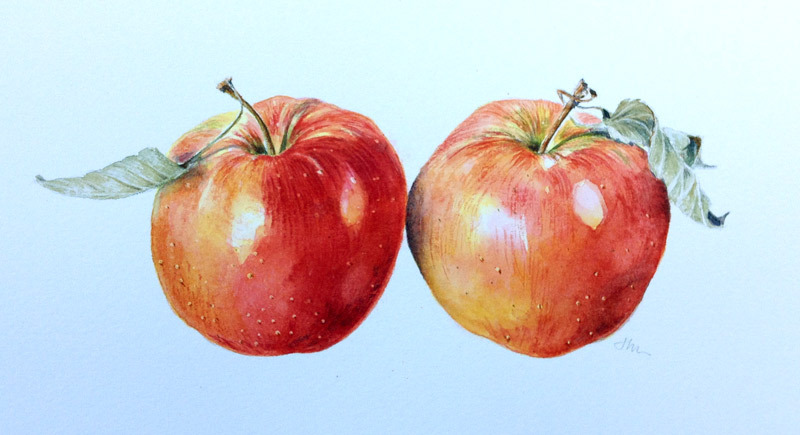 Wow, these really are wonderful apples! How about that giant mouse with ears at the top! I’m glad I finally settled in and started making it look more like a rabbit. Thanks for your praise! Amazing talent. I love the bunnies. I might need to buy the one! Only buy one if you want a pet the size of a small dog! You are simply amazing Jean. Thanks for sharing.